While the saying ‘If it ain’t broke, don’t fix it’ is true, so is the opposite – if something isn’t working, then fix it. From watching sports, we know the rules of a game can determine its outcome. Better rules in Hartford could help change up the results we get from our legislative process. At the Project B.E.S.T. 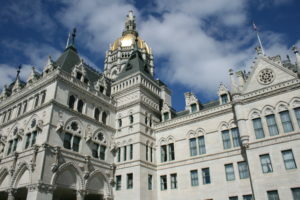 summit last November, attendees from a broad cross-section of interests in Connecticut – including the Yankee Institute – agreed that the legislative process needs to be fixed. Specifically, the implementer process, the need for a better budgeting process, and the need for long-term planning were cited as some of the areas where the state needs to improve. We would add greater transparency and more opportunities for citizen involvement to that list. To that end, we ask the legislators this year to “challenge the rules” – examine the rules structure that governs the legislative process in Connecticut, and ask if the status quo is working. If not, it’s time to fix it. Suspend the use of a joint committee structure for the Finance, Revenue and Bonding Committee and the Appropriations Committee in order to foster greater dialogue and diversity of ideas on the budget. Rename the Planning and Development Committee the Municipal Affairs Committee; require every bill that contains a municipal mandate to come through this committee for consideration. Adopt a consistent set of rules across all legislative committees for the public hearing process and receiving citizen testimony. Eliminate the need for advanced sign-up and expand opportunities for testifying digitally. Supply members of the public and the media with substitute language for a bill prior to a committee vote. Require a public hearing for specific tax increases when they are fully proposed in addition to general subject matter hearings. Require 24 hours before a vote when new legislative language is proposed both in committee and in each house. Limit the use of emergency certifications by requiring a 3/5 vote by both the House and Senate for approval.